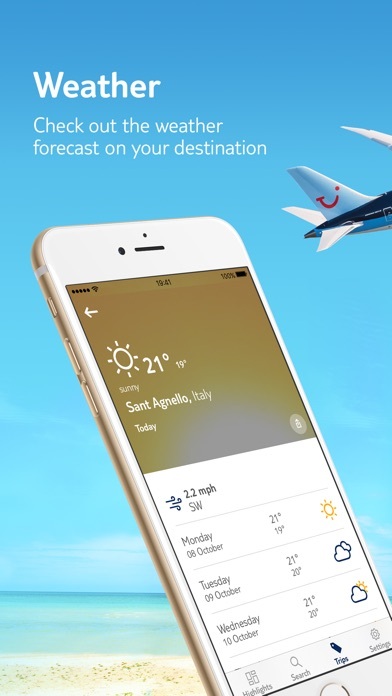 The TUI app gives you everything you need for your holiday –anytime, anywhere. 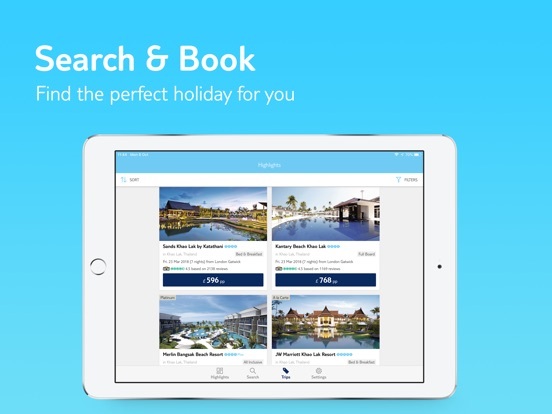 And now, to make things even better, you can find your dream holiday and book it all through the app! 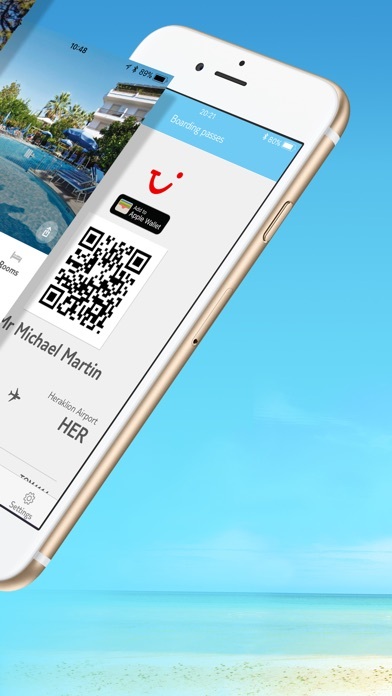 The TUI app is the fastest and easiest way to book your dream holiday package on your mobile, which includes flight tickets, hotels, last minute offers and more. 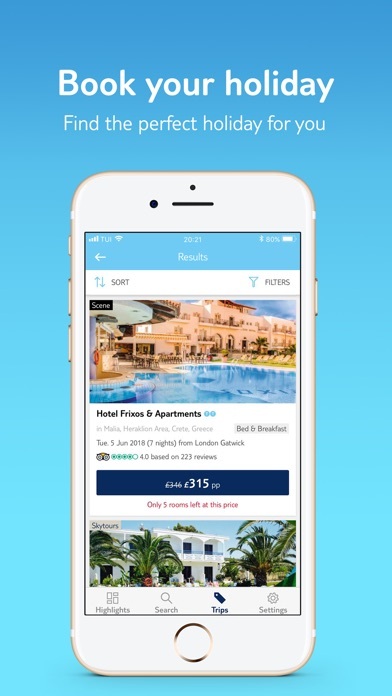 Download the app now and start browsing from the best destinations, the most amazing all inclusive hotels & resorts and don’t forget to check out our latest holiday deals. 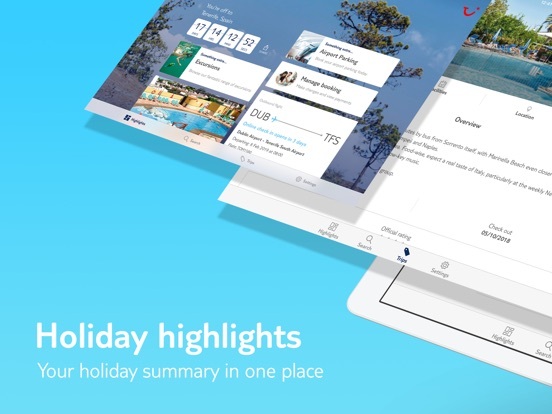 Tap into the exciting world of TUI to browse our unique holiday collection, get last minute deals on flights, all inclusive offers, and book, all at the touch of a button. This is not just a simple travel companion. 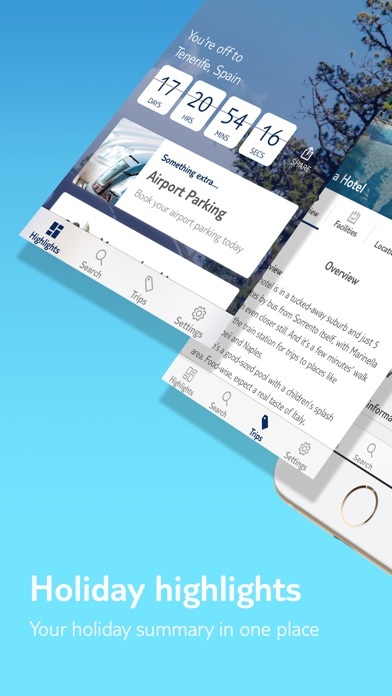 The TUI app not only lets you book your vacation, but also provides you with extra travel features to make your stay more comfortable. Looking for some ideas on excursions? Do you want to know more about your destination? 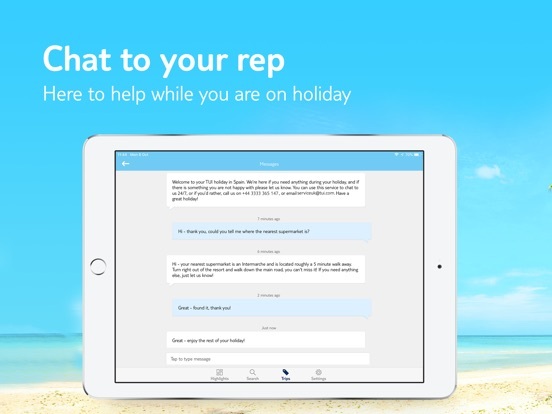 Want to show off you are going on holiday by sharing your countdown with your friends? The app lets you do all of this. 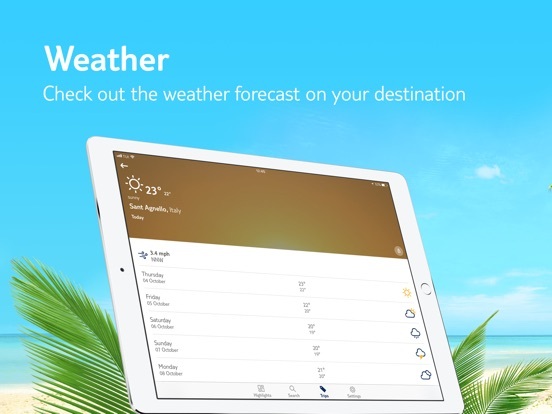 Even if you don’t know where to travel, download the app and look for inspiration. You can access the latest promotional codes, browse from cheap last minute deals and explore our new destinations for 2018. You also have an opportunity to book luxury cruises and an all-inclusive stay. 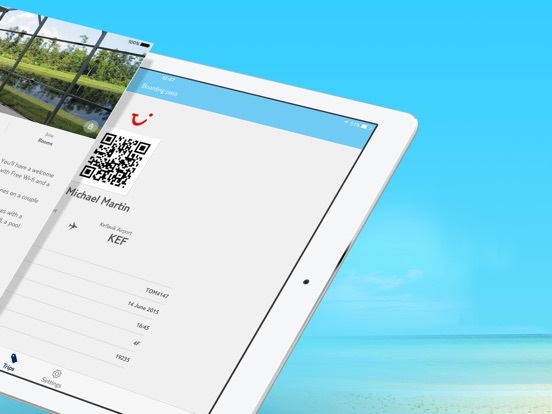 Mobile Boarding Passes: mobile boarding passes are not currently available for customers travelling to the following destinations: Agadir, Antalya, Bulgaria, Cancun, Cape Verde, Chambéry, Costa Rica, Croatia, Dominican Republic, Egypt, Florida, Fuerteventura, Geneva, Goa, Gran Canaria, Grenoble, Hurghada, Jamaica, Malta, Menorca, Miami, Morocco, Portugal, Portugal, Puerto Vallarta, Thailand, Tunisia, Turkey & Zimbabwe. To log in you’ll need the surname of passenger that made your booking, the departure date as well as your booking reference number which looks like this (12345678) and can be found at the top of your booking confirmation. 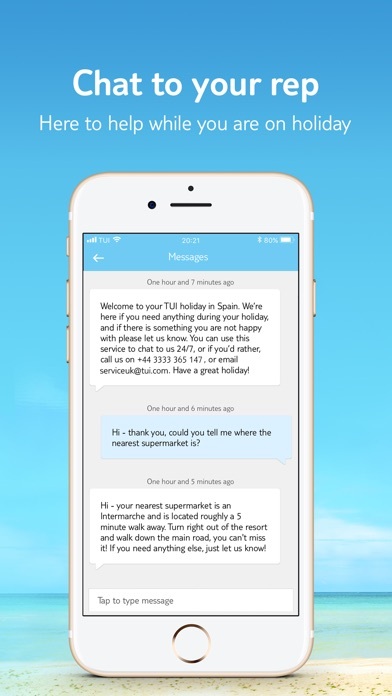 If you experience any issues with the app, please email: TUIAppHelp@tui.co.uk. 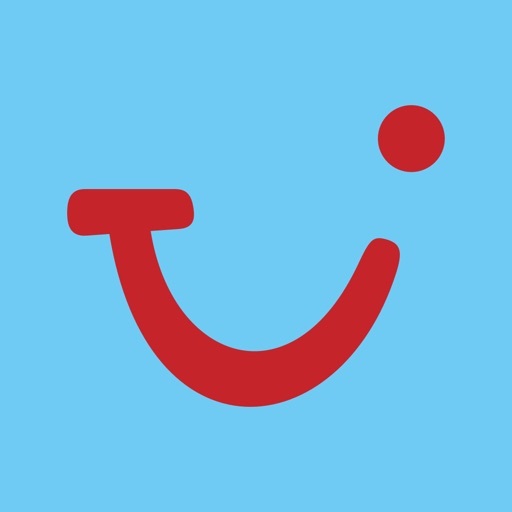 If you enjoy using the TUI app why not leave us a review in the app store. 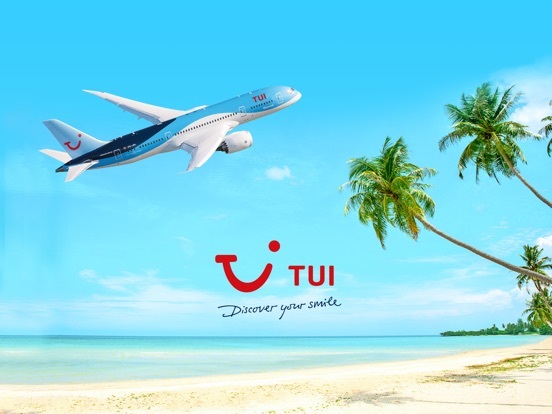 If you are not entirely satisfied with your experience then please do email us directly at appfeedback@tui.co.uk. New York, Santorini, Spain, Greece and more. 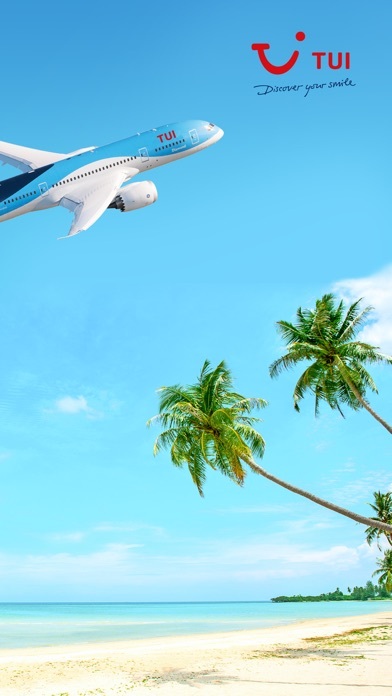 These destinations are all waiting for you. What are YOU waiting for then? Your perfect holiday starts now!